I have thousands of trail cam photos, how do I import them into BGL? You don’t need to import all your photos, you only need to import the date and time stamps. We have created the file to do this for you. Note: BGL suggests that you do import individual photos on the trail cams for the trophies only. There are two parts to this. The first is managing the photos on your personal computer. Our process is only a suggestion on how to manage them so that it’s easier for BGL. The second part is the actual importing. 1. Create a folder on your hard drive that will house all of your trail cams. 2. Within this master folder, you will create and name sub folders for each of your trail cams that are on your BGL camp map. For ease of use, make sure they are named exactly the same. 3. Now you have the framework. 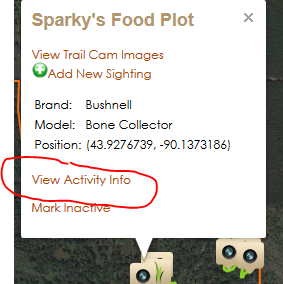 Each time you pull a card on a specific trail cam, you will create a sub folder within that trail cam’s folder that will be titled with the date that you are reading the card. 4. Import all the photos for that card into the dated sub folder. 6. Now I go through each photo and delete any photo that doesn’t have an animal in it. 8. At this point, you should have everything organized and ready to follow the steps for importing the data into BGL. 7. Go to the folder that you wish to import data from and click on the .exe file that is saved. 11. Select the species you wish to enter data for. 13. Click on the Browse button to import the .txt file you created. 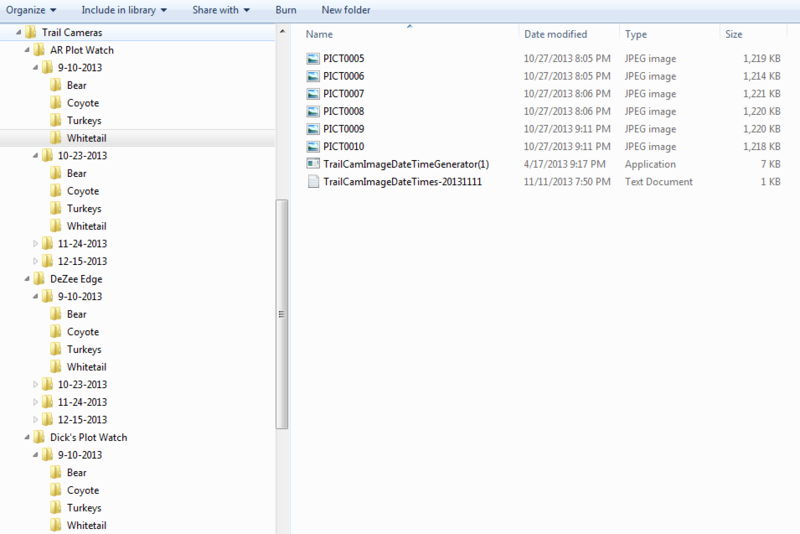 Browse to the desired folder and click on the .txt file. Note: Since this is a free site, it may take some time to download the weather data. Please be patient. We will be adding a paid service that will allow the import in real time. The date and time stamps will import though, so you can see movement overtime, just not the associated weather.